Extinct lineages are not shown. Phylogeny was prepared accordind to Shaw et al., 2010. Years are medians of years summarized by Angiosperm Phylogeny Website, version 13. Cladogram of Marchantiophyta is here. 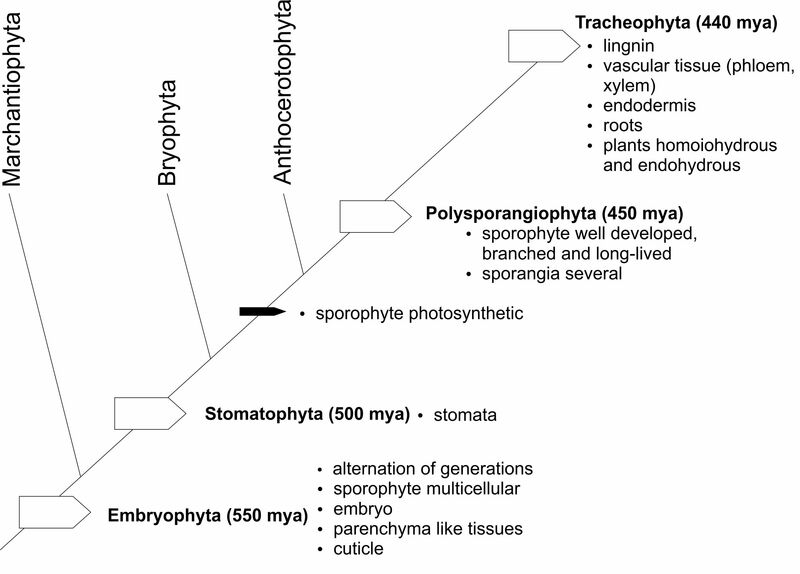 Cladogram of Bryophyta is here. Cladogram of Anthocerotophyta is here. You can sellect phylum, class, order and/or family. Number in column “Genus” denote number of genera in family. Records in Italics denote the rows of species with gallery of images accessible by click on the image (not available yet). System of liverworts and hornworts was modified according to Soderstrom et al., 2016, system of mosses to Goffinet.